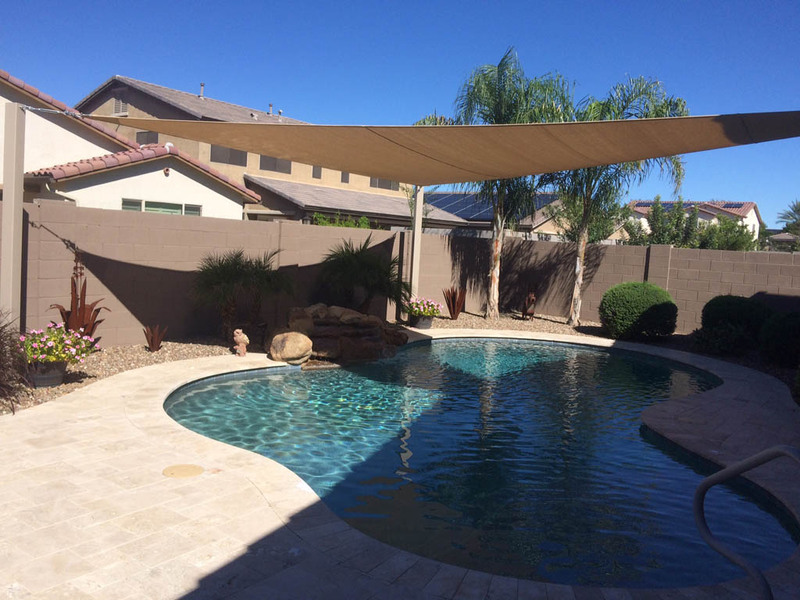 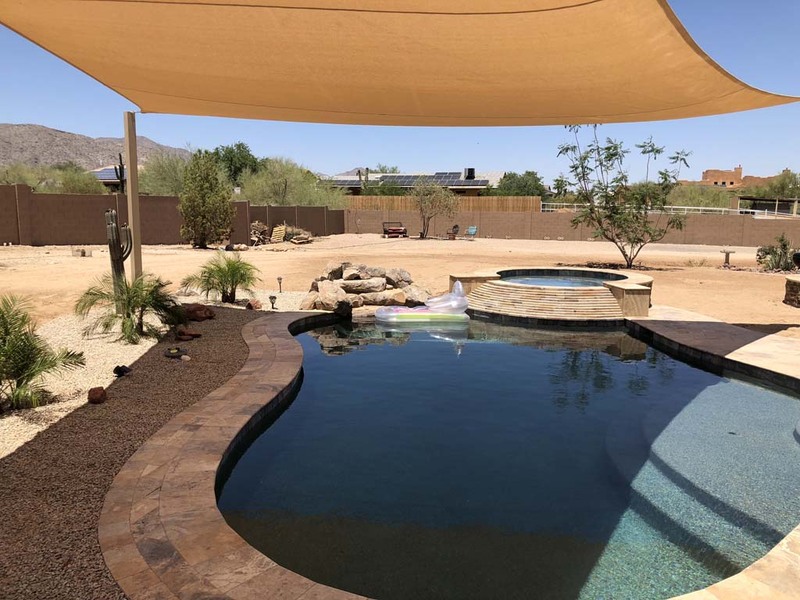 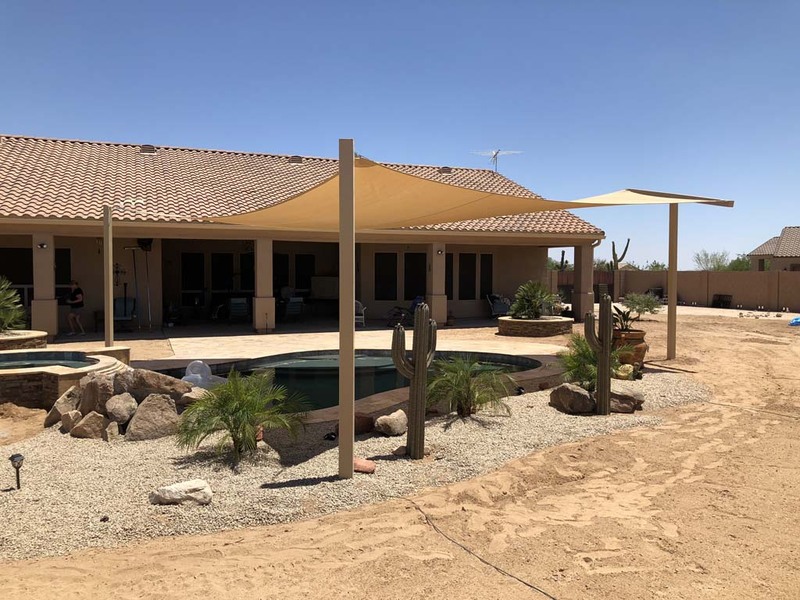 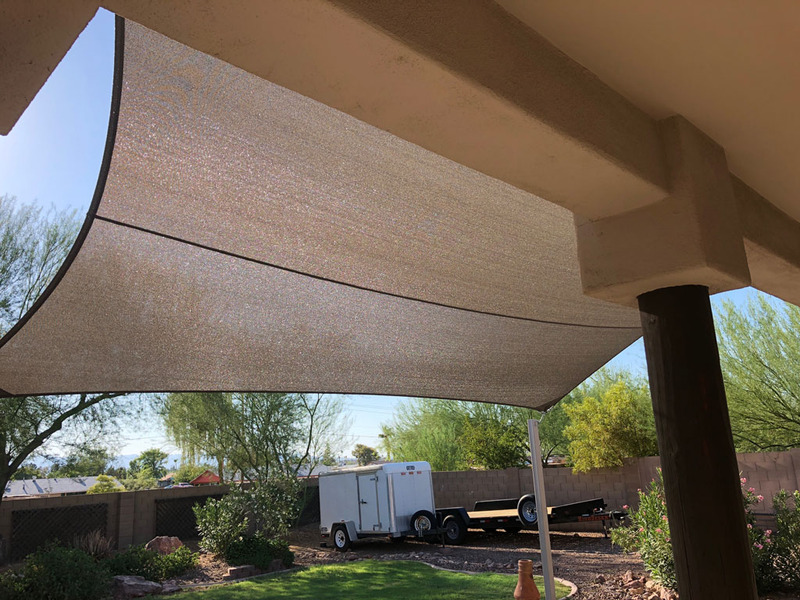 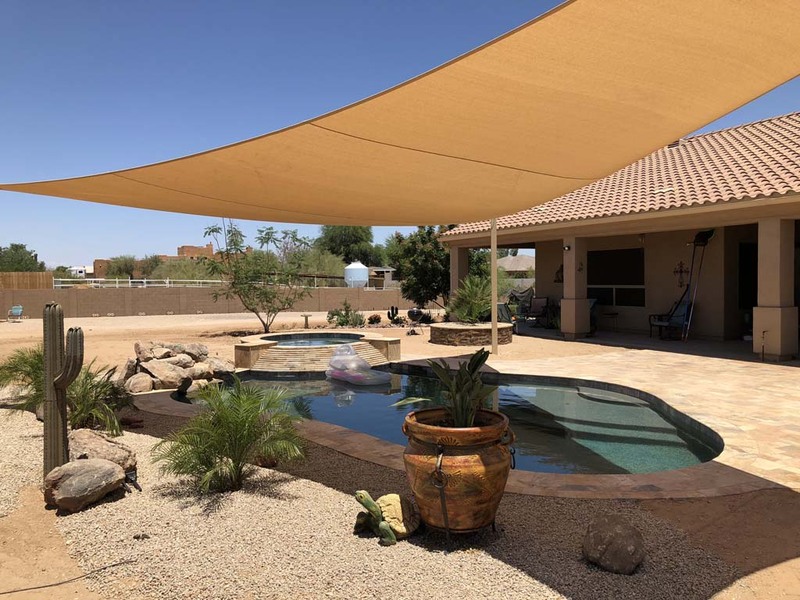 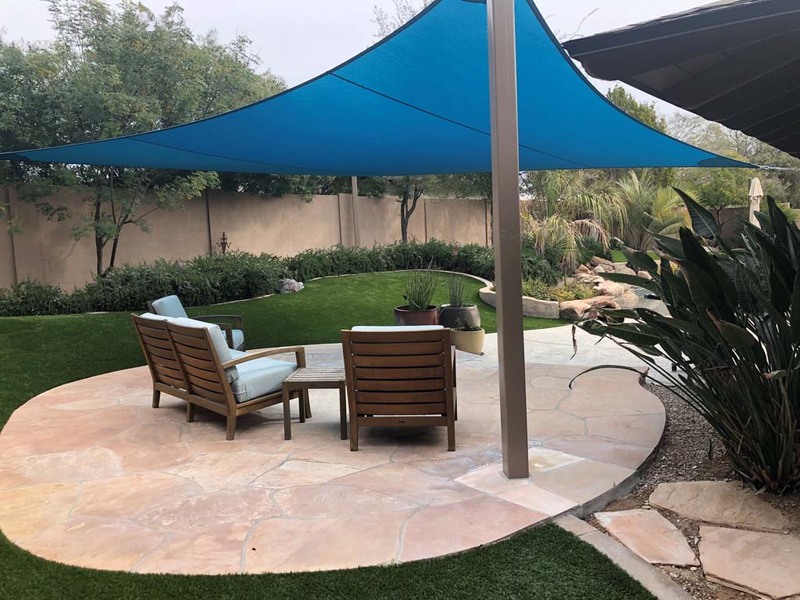 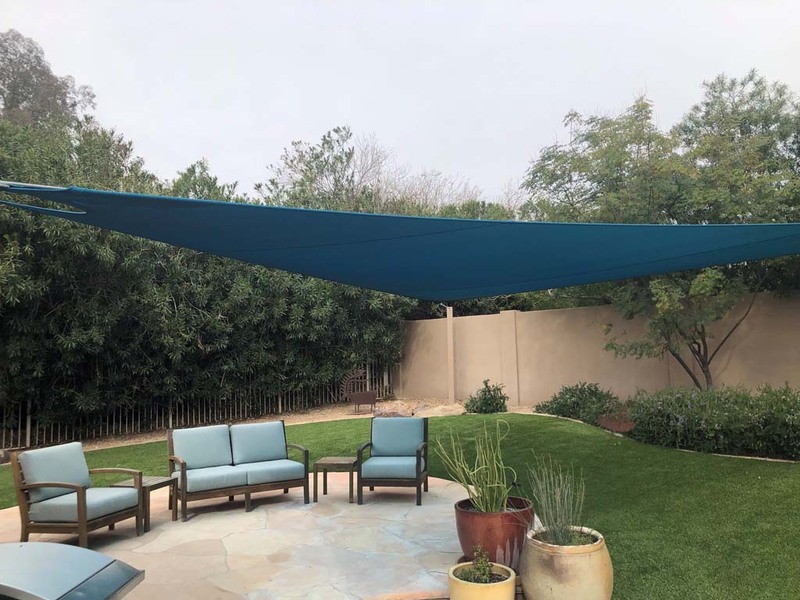 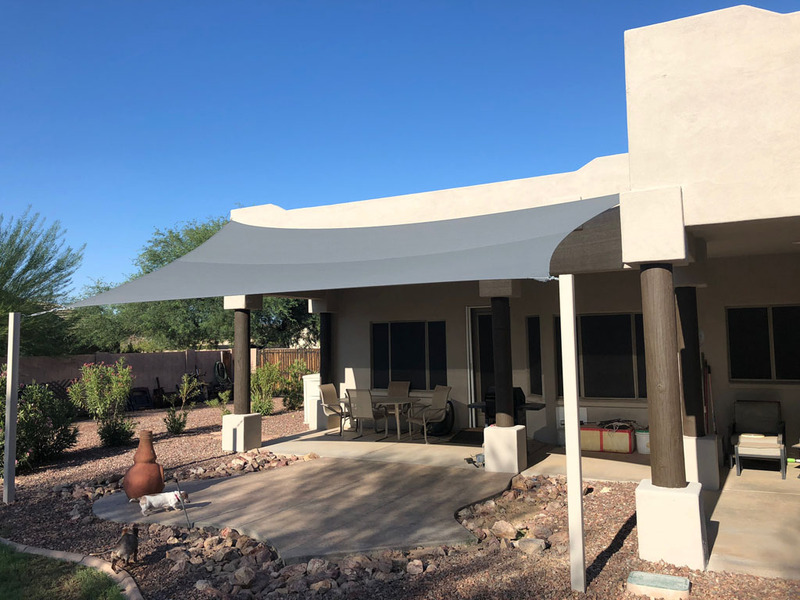 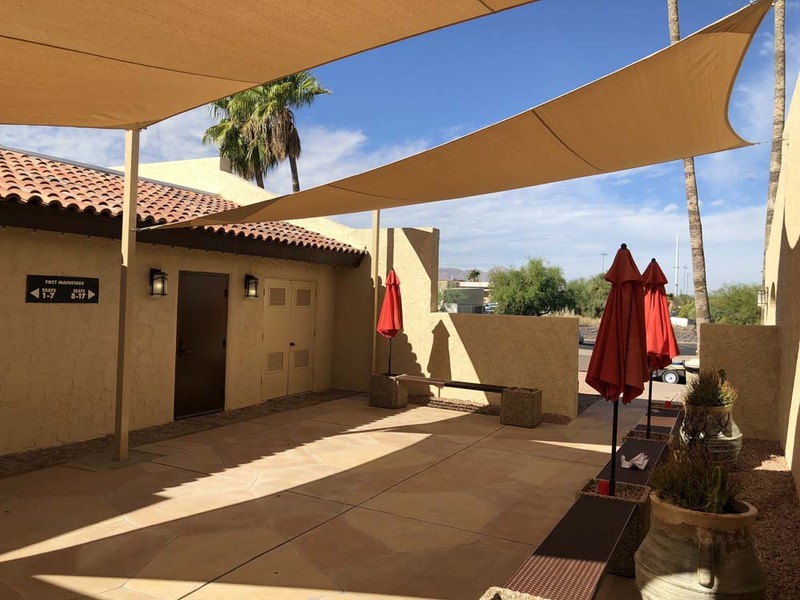 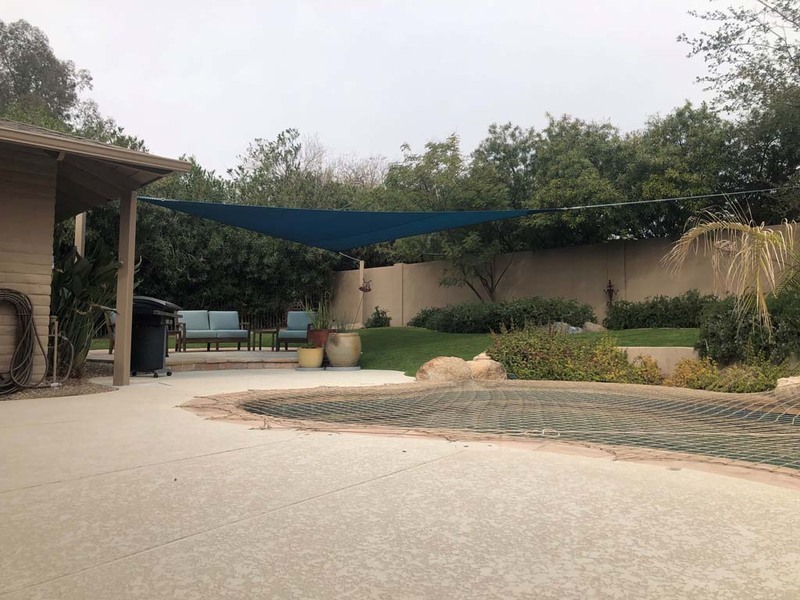 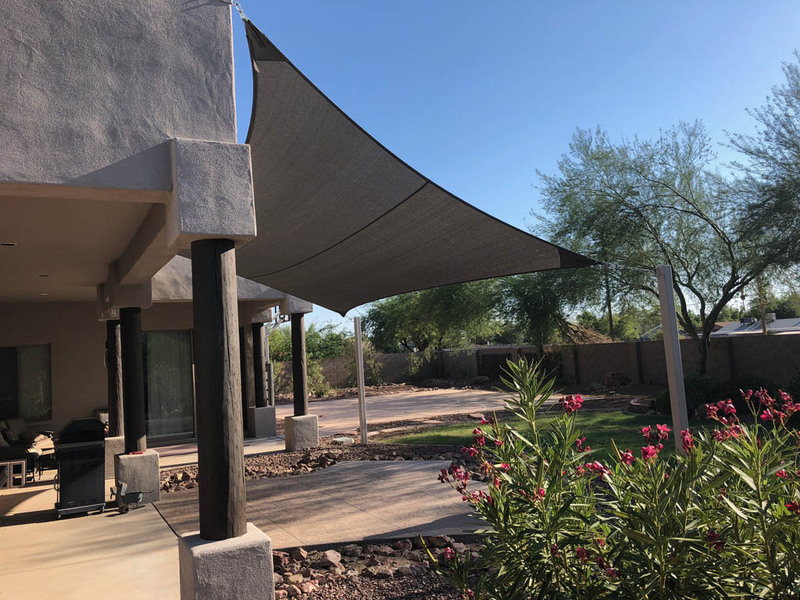 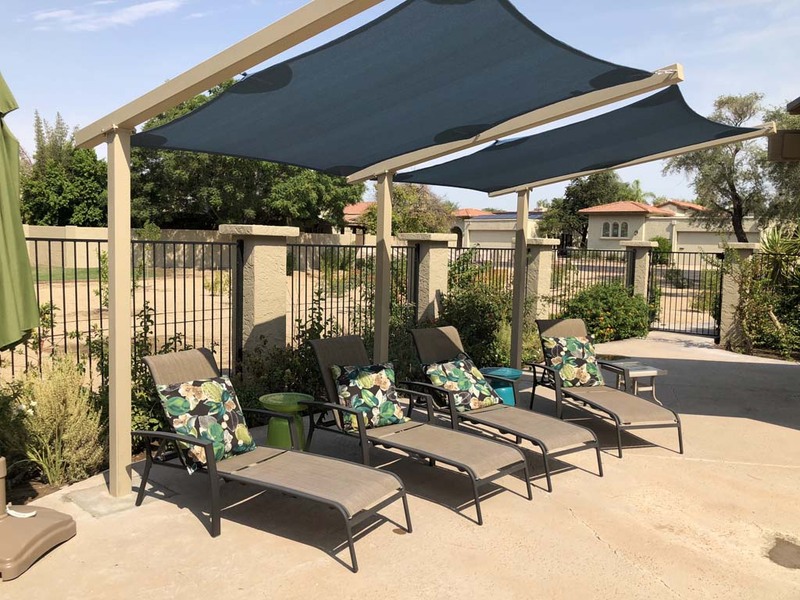 Sun shade sail awnings, also known as stretch tension awnings, are sail-like structures designed to provide relief from Arizona’s brutal sun. 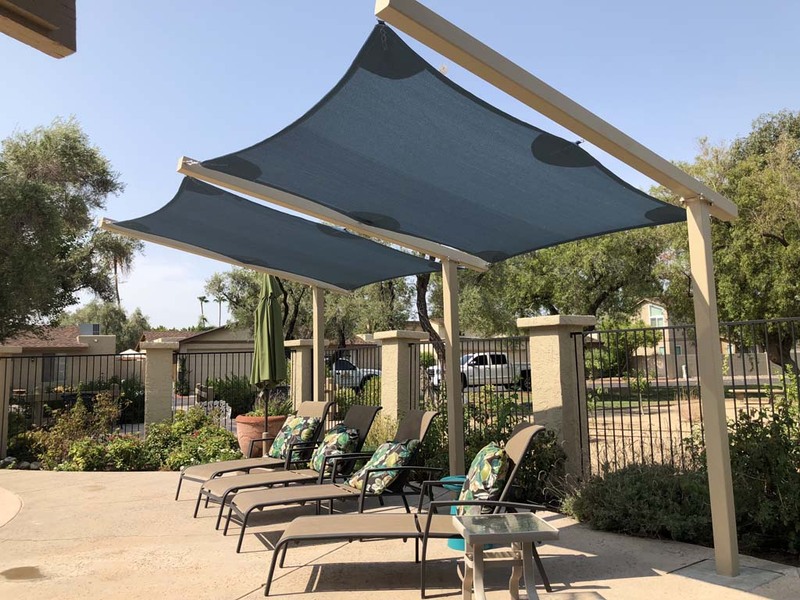 They are perfect for pools, patios, courtyards, gardens, parks and playgrounds. 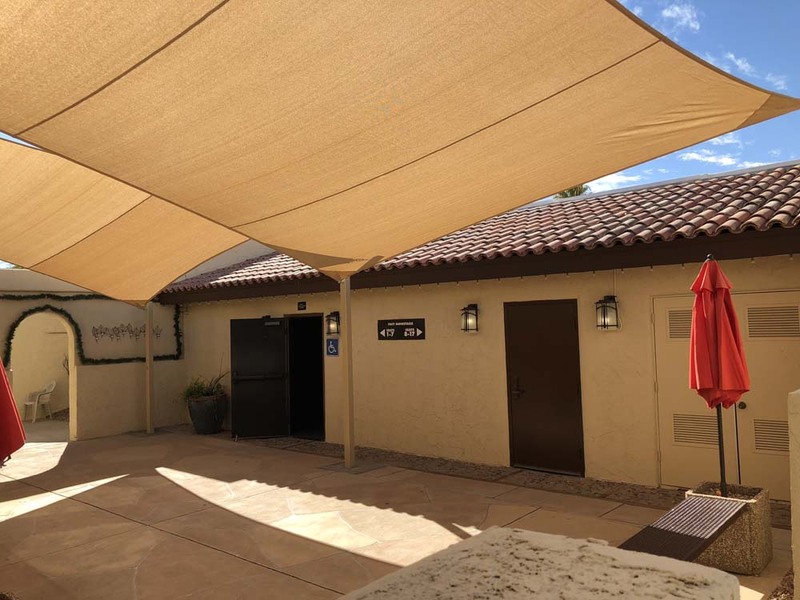 Our sun shade sails are made of tensioned fabric which can be easily curved, angled and overlapped into a great range of soaring forms. 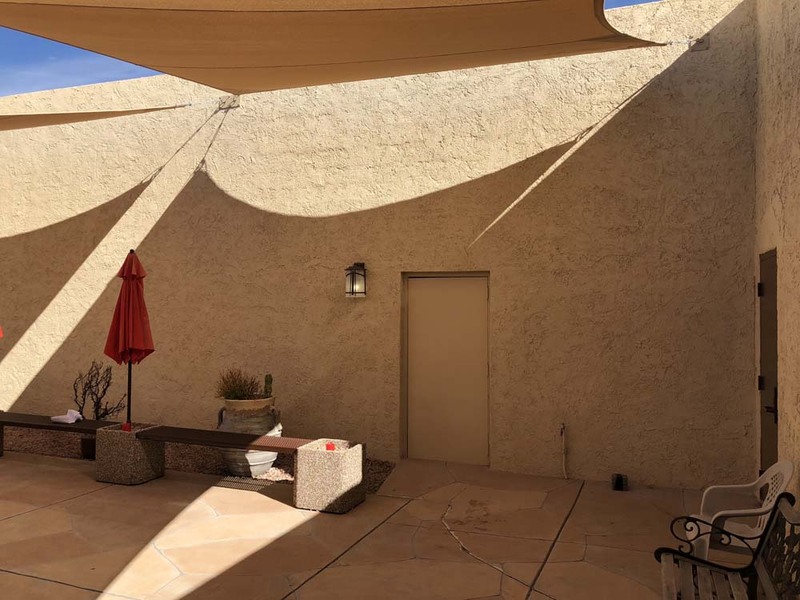 Various overlapping shade sails provide aesthetically pleasing designs while accomplishing your shade goals. 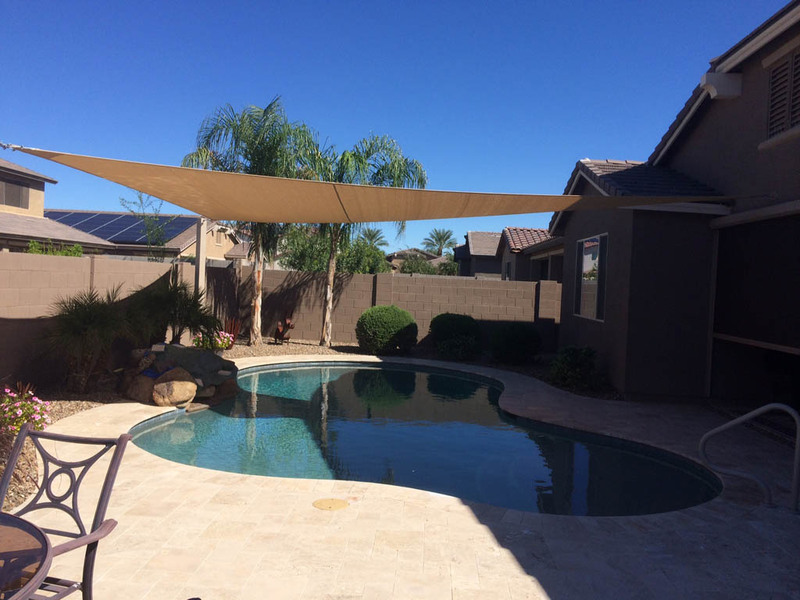 Sun shade sails provide a contemporary, elegant look to your outdoor living space.